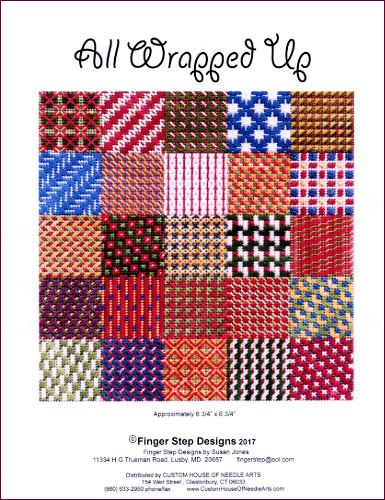 Many patterns, stitched over an area large enough to actually see the pattern, begin to resemble gift paper used to wrap Christmas and other presents. 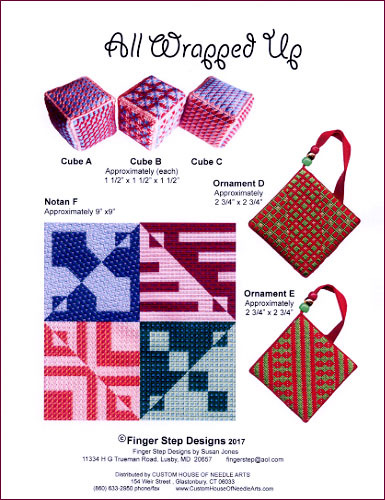 This booklet gathers 25 of these stitch patterns and presents them as a small sampler, stitched in holiday colors. Other projects that are included, shown on the rear cover, involve exercises in color placement and color variations.